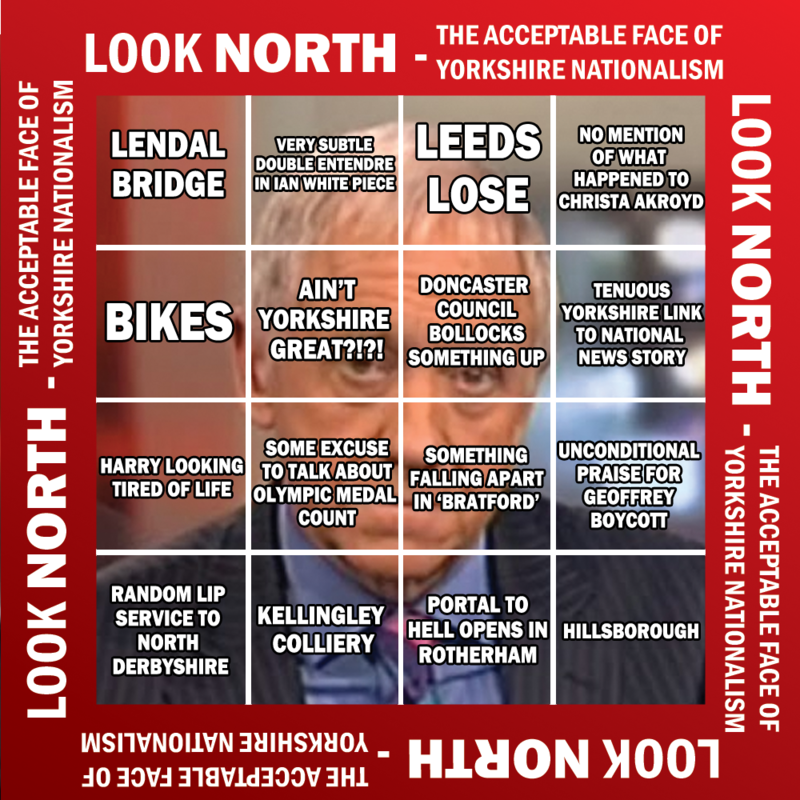 As is often the case, I total forgot about this little maneuver in my long-term life plan of trolling Look North until they finally give up and let me on the show: Behold, the Look North Bingo Card! Alas, it’s a little out of date as they appear to have kicked their Lendal Bridge obsession of late but the rest still stands. 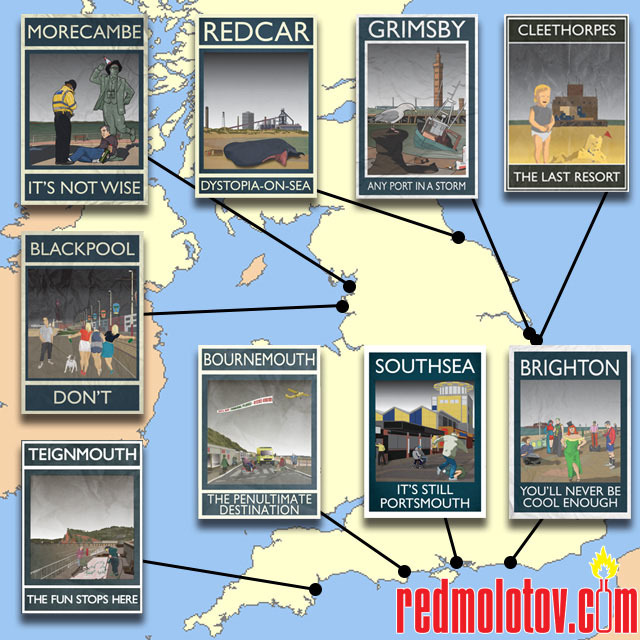 Oh, and the lovely people at Redmolotov – proving once again that they are way more on top of things than I – have put together a lovely little map of Rubbish Seaside locations. Bless their 100% cotton t-shirts which you can buy for a very reasonable price, including all of these splendid Rubbish Seaside numbers.